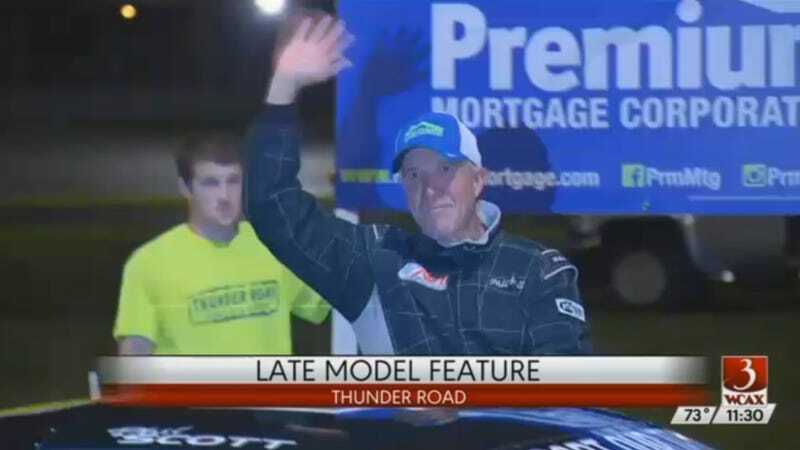 Vermont Governor Phil Scott became the first elected governor to win a professional stock car race after his Late Model win Thursday at Thunder Road in Barre, Vermont, reports WCAX. It was his 30th career victory and his first ever as governor. Scott started the race from pole position and fell behind, but used cautions to his advantage to reclaim the lead by lap 45. Scott was the all-time wins leader at the track before he became governor. I think we can safely say that Vermont’s governor would beat all of the other ones at the track.